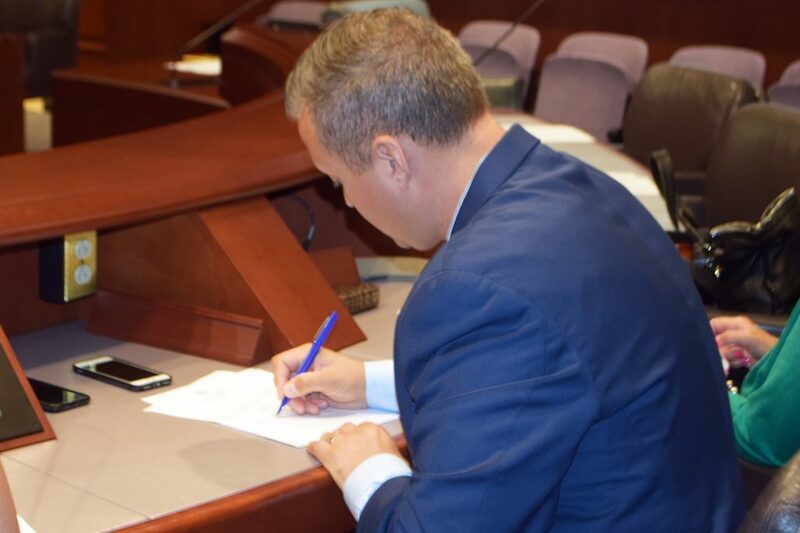 HARTFORD – State Representative JP Sredzinski (R-112) signed a petition this week to request a special session for the purpose of prohibiting the expenditure of taxpayer funds to study and evaluate the establishment of tolls in Connecticut. Last week, Governor Dan Malloy issued an Executive Order directing the state Department of Transportation to prepare a plan implementing tolls and study its impacts. He is requesting to borrow $10 million for the study from the Bond Commission, which he chairs. The study would explore tolls on all major Connecticut highways, including Interstates 95, 91, and 84, along with the Merritt and Wilbur Cross parkways. This past spring, the legislature refused to consider a similar study costing only $5 million.